← Save Time and Gas!! What Is A USDA Loan? USDA Loans offer affordable 30 year terms with 100% financing. That means no money down! No Money Down: For starters, a USDA loan is one of the only loan programs offered that allows you to finance 100% the purchase price. That means no down payment of any kind! Finance Your Closing Costs: A USDA loan allows you to finance in your closing costs up to the appraised value. Making the USDA loan the only mortgage on the market with this ability. Need a 620 score: We offer multiple lenders requiring a middle credit score of at least 620. If you are close, apply and we can help. Affordable 30 Year Terms: USDA home loans also offers affordable 30 year terms. If you are a first time home buyer, or not, a USDA loan is the perfect fit. Solid and Secure. A USDA loan is a home loan insured by the United States Department of Agriculture. Who is Eligible For A USDA Loan? If the home being purchased is located in a USDA eligible area and the household income meets the requirements, chances are you are eligible for a USDA loan. USDA Loan Approval: Applicants for a USDA loan are typically approved if they have a middle credit score of at least 620 and are able to demonstrate repayment ability. If you are currently renting a home, being able to document those rental payments is a plus. Applicants will have to provide proof of income for the last two years in the form of W-2′s or tax returns along with 30 days of their most recent pay stubs. Since a USDA loan finances 100% of the purchase price there is no need to provide asset statements. The USDA calculates the total household income even the persons not applying for the loan. If your spouse does not work a signed letter acknowledging that will be sufficient. If there is another individual going to reside at the property, their income needs to be taking into consideration as well, even if they are not on the loan application. The USDA’s Rural Development home loan program requires that the home being purchased meets standard HUD handbook guidelines 4150.2 and 4905.1. These guidelines are typical for any government backed loan. Any problem with the home being purchased that would impact safety and livability will be an issue, however, if the home doesn’t have any of those problems then you have nothing to worry about. Florida is a great state to take advantage of the USDA loan program. 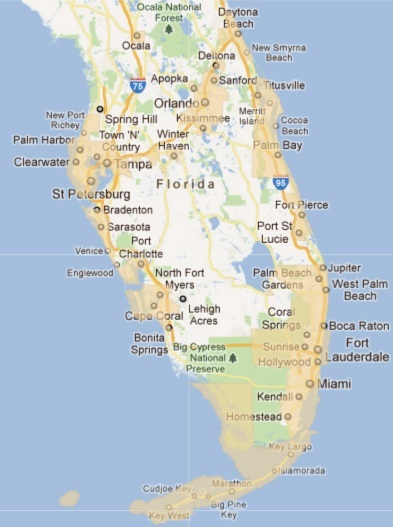 The average household income limits for a USDA home loan in the state of Florida are around $74,000. Posted on June 11, 2012, in Finance and tagged 100% Financing, 30 Year Term, 4150.2, 4905.1, Buy a Home, Buyer, Closing, Closing Costs, Credit Score, Finance Me, Fixed Interest Rate, Florida, Household Income, HUD, Interest Rate, Kara Holleran, Lender, Loan, Loan Approval, Mortgage, No Money Down, Property Guiding, Real Estate Financing, Realtor, Rural Development, SWFL Real Estate, United States Department of Agriculture, USDA, USDA Loan. Bookmark the permalink. 1 Comment.